We have discussed the basic concept of bearing and also the various function of a bearing during operation in our previous posts. We have also looked the bearing operating conditions and terminologies in our previous post. Today we will see the concept of roller bearing and also its types in this post. Cylindrical roller bearing and needle roller bearing are the types of non - tapered roller bearings. 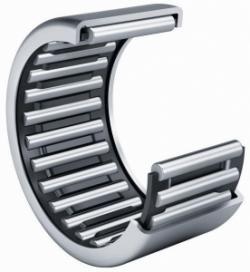 If we look the basic difference between tapered roller bearings and non tapered roller bearings, we will observe that there will be difference between the curvature of bearing races and shape of rolling elements i.e. rollers. 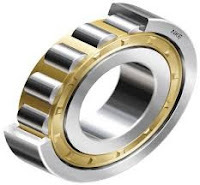 In case of non tapered roller bearings, the center lines of any component will be parallel to each other, while in case of tapered roller bearing the imaginary lines passing from outer race and inner race will meet with each other at a point over the center line of bearing. 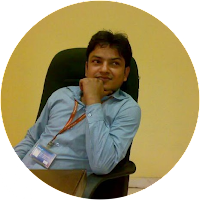 Tapered roller bearing will have design of conical type of shape and therefore each rolling element i.e. roller will be aligned by itself between tapered faces of bearing inner ring and outer ring. Each roller will revolve freely between inner ring and outer ring because cage is designed in such a way that it will provide the open space over the rolling elements i.e. rollers. Each roller of rolling element will have to bear the even load and therefore we can secure the better service life of bearing, if correctly installed and maintained periodically as prescribed by the manufacturer. Tapered roller bearings are normally used when we need to secure the true and precise rolling motion and also tapered roller bearings are quite able to bear the radial load, thrust load and also combination of above both load i.e. thrust load and radial load. Rolling elements i.e. roller will be aligned by itself between inner and outer ring of bearing due to design of such bearings and therefore we will secure better productivity from such bearings. Tapered roller bearing will be able to bear the radial load, thrust load and also the combination of both loads. There is one unique design features in tapered roller bearing which makes such bearings different from most of other bearing. Do you have idea, what is that? Inner ring and outer ring could be separated in such bearing and that is the reason that we normally install tapered roller bearings in two steps, inner ring and cage with rolling elements will be fixed as one unit and after that outer ring will be fixed. 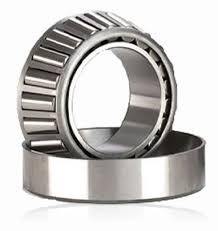 Cylindrical roller bearings come under category of non-tapered roller bearings. Such bearing will have all basic components i.e. inner race, outer race, cage and rolling elements. Rolling elements in such bearing will be basically rollers of cylindrical shaped and will be spaced equally and revolve freely between flat surface of inner and outer ring in guidance of separator i.e. cage. Cylindrical roller bearings are widely used in automobile sectors in various applications such as in rear axle, differentials and also in transmissions. Needle roller bearings are basically one other version of cylindrical roller bearing, rolling elements in such bearings will also be rollers of cylindrical shaped but diameter of roller will be quite less as compared to the diameter of roller in case of cylindrical roller bearings but quantity of rollers will be more per bearing in needle roller bearings. Such bearings are commonly used in universal joints, alternators, steering gears and in transmission also. We will discuss the basic concepts and classifications of ball bearings in our next post. We welcome your suggestions, do you have suggestions? 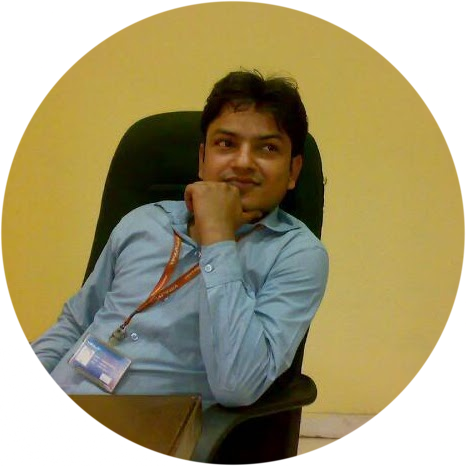 Please write in comment box.